Here at Oban Live we want to make our event accessible for all. If you have any questions please do not hesitate to get in touch. All the public areas of Oban Live are accessible for wheelchairs. The main arena is on the grass pitch at Mossfield Stadium, however we cover the pitch with plastic pitch-cover which makes it very smooth and accessible for customers who may have mobility issues. The area around the main entrance is hard standing, but is more uneven. If you require any assistance when you arrive, please talk to a member of staff and they will be happy to assist you. Concession priced tickets are available to anyone receiving any kind of disability allowance/PIP. If your disability requires you to have a personal assistant (PA), your PA is eligible for a free ticket. Please contact info@obanlive.com if you require a PA ticket. Please note that concession priced tickets and free PA tickets exclude VIP. VIP tickets can only be purchased at full price. There will be fully wheelchair accessible toilets in the main toilet zone and in the VIP toilet zone. Unfortunately, the VIP toilets are accessed by stairs so not wheelchair accessible, however there will be a wheelchair accessible toilet situated next to the VIP toilets. If you have a medical condition that requires you to be able to get to a toilet quickly, please talk to a member of the first aid team, who will be situated at the first aid station. They will be able to ensure you can get quick access to a toilet. A ‘recognised Assistance Dog’ is one which has been specifically trained to assist a disabled person and which has been qualified by one of the charitable organisations as members of Assistance Dogs UK. Please note some of the music performances may include strobe lighting. If you have any access requirements, please contact us at info@obanlive.com by Friday 18th May 2018 and attach a scan of a letter from the DWP or alternative evidence supporting your requirement of the use of the accessible facilities. 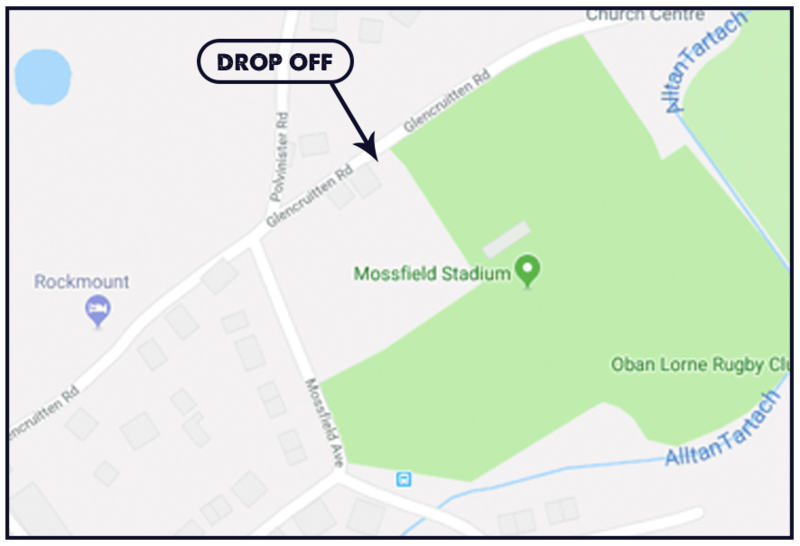 Unfortunately, there is no parking available at the Oban Live site, however there is a Blue Badge drop off area at the main gate. This can be found off Glencruitten Road. Under advice from the authorities and, subsequently, as a condition of our license in a change from 2016, there will be an allocated area for people bringing folding chairs to the event. Folding chairs will not be permitted outside of this area. Whilst the area will be first come first served, priority will be given to people who have a disability or health issue that means they cannot stand for long periods. If you have a disability or health issue, please contact the team on the details below so that we can arrange for you to receive an access wristband which will give you priority to the folding chair area. Please note that Oban Live does not provide the folding chairs and you will be required to bring your own. Wheelchair users are welcome in all public areas of the site, however, if you are a wheelchair user and are more comfortable away from the hustle and bustle you are also welcome in this area.